Maintenance Advice to Ensure Your BMW Car Stays in Great Shape | Atlantic Autowerks Ltd.
As a general rule, BMW recommends a safety and oil service every 10,000 miles or 12 months. This service includes an oil change, oil filter change, brake check, fluids, coolants, examination of belts and hoses, tire pressure checks and a few other, minor inspections. The purpose of this routine is to regularly ensure the integrity of critical components in your BMW so that it continues to drive smoothly, safely and without causing undue stress to the vehicle's engine. At 30,000 miles (and every 60,000 after that), it's time for a BMW maintenance check called, "Inspection 1." This inspection is more in depth than the general maintenance routine, checking everything from engine temperature and the steering system to the battery and brake pads. Once you reach 60,000 miles (and again every 60,000 after that), you'll need to bring your vehicle in for BMW Inspection 2. This inspection is more thorough, including parking brake lining checks, air filter replacement, spark plug replacement and all checks performed during Inspection 1. 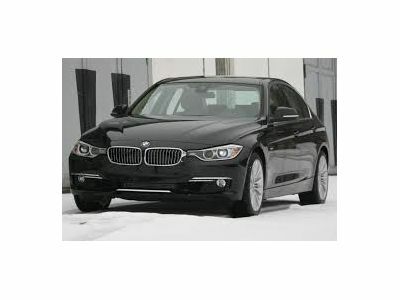 At Atlantic Autowerks, we offer factory services for BMW vehicles including BMW's Inspection 1 and Inspection 2. Using all OEM parts, we perform all of our services to at least minimum specifications. As a result, we keep your BMW in top shape so that that you can get more life out of it and ensure that its performance remains consistent. If you're looking for a trusted, proven BMW service center, call us today to learn more about the factory services offered by Atlantic Autowerks.